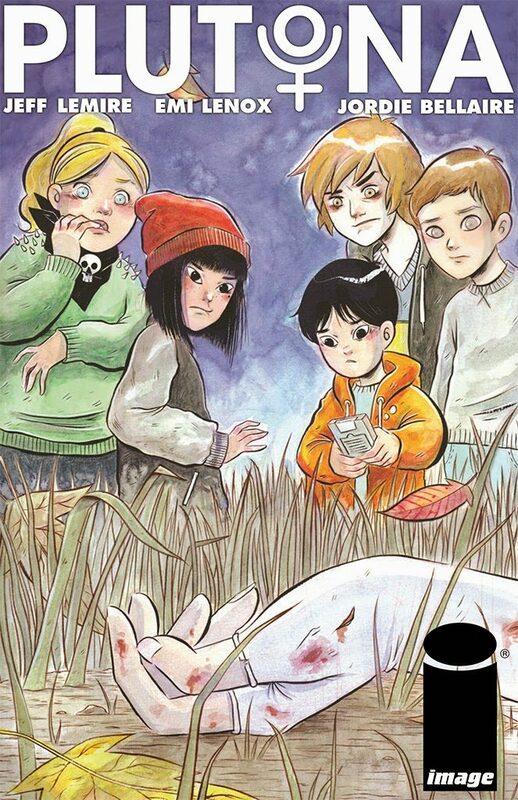 New Comic Series ‘Plutona’ Being Adapted For Feature Film!!! Waypoint Entertainment has announced their intent to adapt ‘Plutona‘, a new comic series from Image Comics to a feature film. The 5-issue limited series debuted in September to critical acclaim, written by Jeff Lemire and illustrated by Emi Lenox. ‘Plutona‘ follows the story of five suburban kids who make a shocking discovery while exploring the woods one day after school…the body of Plutona, the world’s greatest superhero. What follows is a dark and heartbreaking journey highlighting friendship and coming of age pains all wrapped up in the superhero genre. Ken Kao (‘The Nice Guys‘) of Waypoint Entertainment is tapped to produce with partner Dan Kao and Russell Ackerman and John Schoenfelder under Addictive Pictures‘ shingle. This entry was posted on Friday, July 15th, 2016 at 2:39 pm	and is filed under Comics, Film, News. You can follow any responses to this entry through the RSS 2.0 feed. You can skip to the end and leave a response. Pinging is currently not allowed. « Oscar Isaac In Talks For ‘The Kidnapping Of Edgardo Mortara!! !